[German]Microsoft also provided updates for Internet Explorer 11 on the patch day ( September 12, 2017). As a result, the tab bar is now shown below the address field – and there is a search box shown again. [German]Just for your information. Microsoft has finally fixed the printing issues in Internet Explorer 11 caused by June 13, 2017 security updates within all Windows versions. Note: Update KB4032782 may cause IE 11 crashes on several web pages. 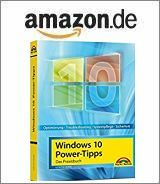 [German]Microsoft has released an update KB4032782 to fix printing issues in Internet Explorer 11, caused by June 13, 2017 security updates. Here are a few details about that issue. [German]A strange thing happened today: Windows 7 machines are receiving Internet Explorer 11 security update KB3008923 via Windows Update. This update is dated from December 2014. Here are a few details and observations.